Learn more about the US Postal Service’s low cost shipping option that delivers packages within 2 - 3 days. For Stamps.com customers, addresses are automatically cleansed to match USPS specifications. This can prevent returned mail and improve deliverability. For Stamps.com customers, postage rates are automatically calculated using current rates. 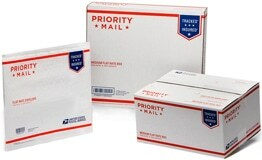 The USPS offers free shipping supplies to send packages through certain classes of mail. Order your free Priority Mail Express or Priority Mail pre-printed boxes, stickers, or forms today. Lower your shipping costs. See why USPS shipping rates can be much lower than UPS or FedEx®. Start saving money today! Six tips for letters and packages being sent to an APO or FPO military base. Check out these eight great tips on how to make your mailing and shipping budget go the extra mile. Media Mail allows you to send pounds of media for a fraction of the cost, which can save your small business money.